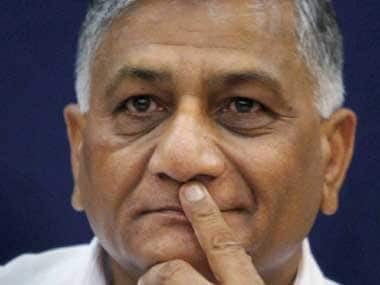 As Opposition leaders latched on to Amit Shah's claim of 250 casualties in the Indian Air Force strike in Pakistan, Minister of State External Affairs VK Singh came to the BJP president's defence. Singh on Tuesday said the toll is not a "confirmed figure" and that Shah meant that these many "might have died" in the air strike. "That (casualty figure) was based on people who were housed in the buildings which were hit, it’s an estimate. He is not saying this is a confirmed figure, he is saying this many might have died," Singh said according to The Indian Express. 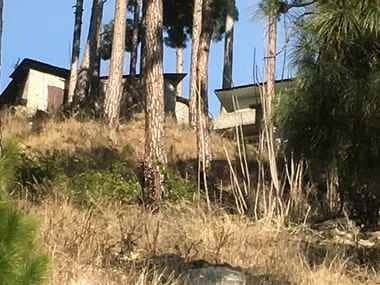 Meanwhile, the Bharatiya Janata Party (BJP) shored up attack on the Opposition as it sought to put the government on the back foot, as they questioned Shah's claim of 250 casualties in the strike and asked how he was privy to the classified information. On Monday, while the Congress asked the government what was the basis of Shah's claim, Mayawati asked if Shah's claim were true why Prime Minister Narendra Modi was silent on the issue. Senior Congress leader Kapil Sibal also said if Shah is claiming 250 casualties of terrorists in the air strike, why is the prime minister not providing details of the number of deaths. He cited several international media reports claiming "no proof of militant losses at Balakot" and asked Modi if those media organisations are "pro-Pakistan". 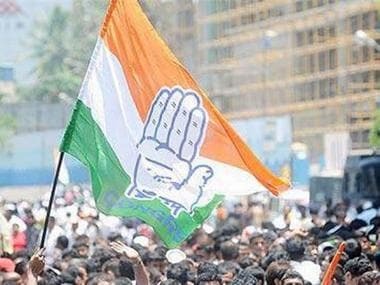 Congress chief spokesperson Randeep Surjewala referred to Union minister SS Ahluwalia's reported remarks that the government never claimed to have killed 300-350 terrorists in the air strike and asked the prime minister to share the "truth" with the country. Referring to Shah's statement, RPN Singh asked, "Where is this number coming from and who is politicising this whole incident. Why is the prime minister not giving details and saying how many people have died in the air strike. Why is the government not confirming this". The former union minister said Modi is talking about Rafale, Shah about how many people died in the air strike and the BJP Delhi president is wearing army fatigue for his political campaigns. 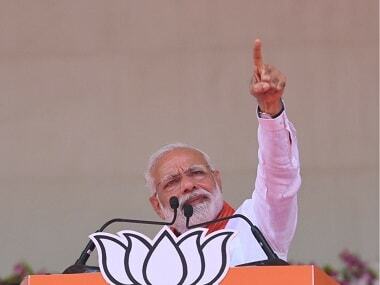 "Here is the prime minister, who says that the air force would have been much stronger if we had Rafale (fighter jets). We would like the prime minister to apologise for saying that... The prime minister has tried to show that the air force is weaker because it does not have Rafale. We would like him to apologise for saying so because the Indian Air Force has always protected our skies and given a befitting reply, whenever it has been attacked by the Pakistanis," Singh said. The BJP hit back asking the Congress not to "mislead" the country and "insult" the armed forces with "fake and fabricated" stories. Union minister Mukhtar Abbas Naqvi said the Congress and its allies are "crying" while terrorists and their sponsors are hit. "Is this a coincidence or a partnership? It is unfortunate that when the entire country is speaking in one voice to salute our armed forces' valour, the Congress and its allies are raising such questions," he said. 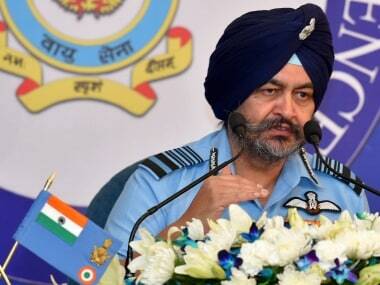 Amid the raging debate on number of casualties in the strike, IAF chief BS Dhanoa Monday said in Coimbatore that the air force doesn't count human casualties and it was for the government to provide details on the terrorists killed. While there has been no official statement on the number of deaths, government sources had earlier said up to 350 terrorists were killed, Shah Sunday put the toll at 250. Some media reports claimed that the damage has been minimal, prompting Opposition leaders to clamour for clarity.